The razor surgeonfish is found in the Eastern Pacific, mainly from Costa Rica to Ecuador including around the Galapagos. 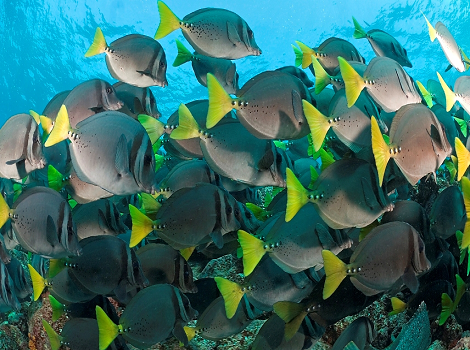 They form large schools to feed on algae attached to coral or rocks in the shallow waters around reefs. Although classified as least concern, this species could be at risk from habitat loss and degradation of the coral reefs they inhabit.